Metaphors are very powerful communication tools. They act as a lens, getting people to consider ideas or concepts in new ways. Juan Martitegui is a Senior Partner at Mindvalley and CEO of Mindvalley Hispano. He’s taking forward one of the biggest expansion initiatives of Mindvalley outside its headquarters – and has also become one of the most eminent names regarding online marketing in Latin America (advice: google him). Juan started with the question: how can I compare whatever I teach to something that works every time? 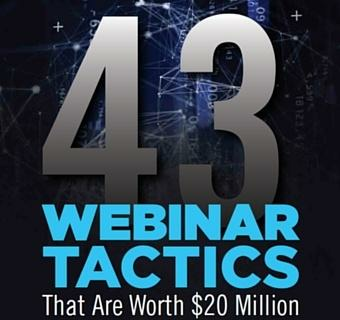 He created a killer webinar that works every time he runs it – out of one simple idea: explaining it through a metaphor. Grab a topic that answers naturally to whatever objections people have, establish a relation that make sense – and see how it changes people perception about your product. Juan was able to increase revenues by 150% with Metaphorical Persuasion. Check this video to see how he did it. How are you using metaphors? Take a look at your brand, your value proposition and your marketing messages. Do they resonate like Juan’s? If not, this is an amazing opportunity to make your brand even stickier. “Language of the Gods.” Exquisitely deep insight actually. Congratulations.